Based on historical data the odds of an earthquake occurring in southwest Ohio and impacting Butler County are fairly high. The New Madrid fault line, which runs in close proximity to the State of Ohio, has a high probably of activity within the next 50 years according to geologists. Butler County’s close proximity to this fault line puts the county at risk for any major earthquakes. At Tuesday's Monroe Council Meeting, Katharine Piaskowy, Emergency Planner for Butler County Emergency Management Agency will be presenting and discussing CANHMP - Countywide All Natural Hazard Mitigation Plan. The City participates in EMA and assisted in the development of CANHMP. Federal Emergency Management Agency (FEMA) regulations require that Monroe must have an 'all natural hazard mitigation plan' in place as a condition for receiving federal disaster aid. Also at the council meeting will be the first reading of portions of the CANHMP that apply to Monroe. According to the resolution, named 12-2012, 'it is the intent of council to adopt portions of the CANHMP as the plan for the city of Monroe'. A mitigation plan addresses natural disasters that could affect a local community such as flooding, tornadoes, high winds, winter storms, landslides or some other natural disaster. By developing a mitigation plan, Monroe can identify its areas of risk, assess the magnitude of the risk and develop strategies and priorities to identify projects for reducing risk. awareness. Severe storms can do damage, but are often the precursor for much more severe weather to follow. 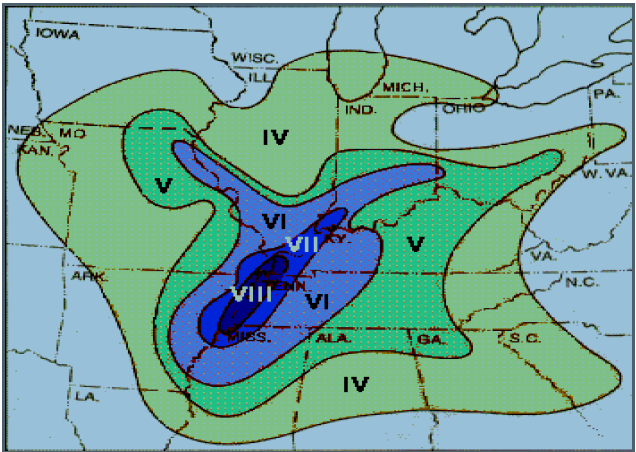 One example is the direct association of tornadoes with thunderstorms. 2. Flooding -two categories: flash floods, the product of heavy localized precipitation in a short time period over a given location; and riverine floods, caused by precipitation over a longer time period and over a given river basin. 3. Tornadoes -the development of Doppler radar has made it possible, under certain circumstances, to detect tornado winds with radar. However, spotters remain an important part of the system to detect tornadoes, because not all tornadoes occur in situations where the radar can "see" them. 4. Drought -Butler County has not had any reported wild fires in the past 60 years. While chances of these occurring are minimal, the county still has nearly 130,000 acres of farmland that could be susceptible to fires. 5. Earthquake -Ohio has experienced more than 120 earthquakes since 1776, and that 14 of these events have caused minor to moderate damage. An earthquake on June 18, 1975 caused damage in western Ohio, and affected a total area estimated at over 40,000 square miles. Walls were cracked and chimneys thrown down in Sidney and Urbana. The shock was felt sharply at Jeffersonville, Indiana. The affected area included parts of Illinois, Indiana, Kentucky and Missouri.